Frankfurt is an unexpectedly traditional and charming city, with half-timbered buildings huddled in its quaint medieval Altstadt (old city), cosy apple wine taverns serving hearty regional food, village-like neighbourhoods filled with outdoor cafes, boutiques and street art, and beautiful parks, gardens and riverside paths. The city's cache of museums is second in Germany only to Berlin’s, and its nightlife and entertainment scenes are bolstered by a spirited student population. Franfurt am Main, home of the Franfurt Marathon. 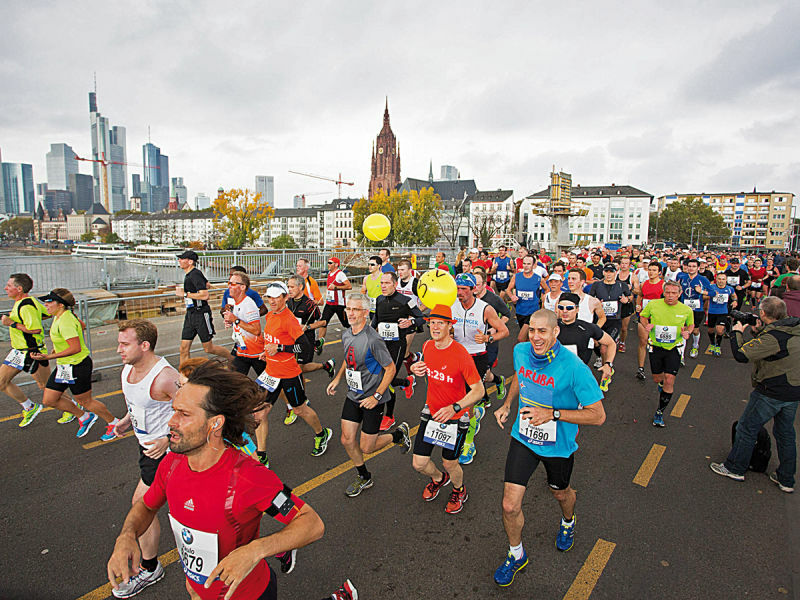 The Frankfurt Marathonis a marathon which has taken place every year in Frankfurt am Main since its inception in 1981. It is the longest-established city marathon in Germany and in terms of the number of finishers, Germany's second-largest. It is organised by the agency motion events. The route can be run easily and quickly and has resulted in last year in new track records for both men and women - it has a total elevation gain of only 27.8 meters, spread over the entire route length of 42.195 meters. The route is set up circular and runs along both sides of the river Main. The first part of the route leads the runners through the city of Frankfurt with itsfascinating skyline, then to the district of Sachsenhausen, towards the residential area of Höchst and back along the Mainzer Landstrasse through the city center and the trade fair tower into the Festhalle with its red carpet.